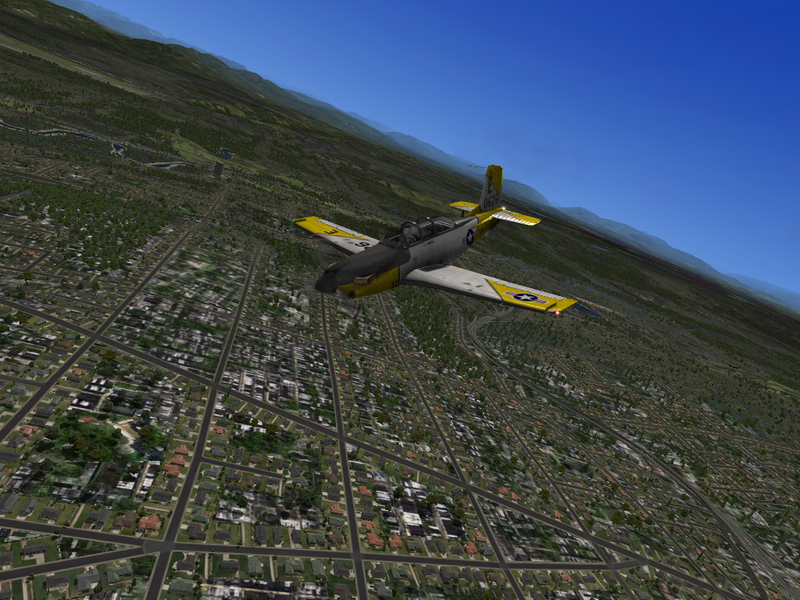 UrbanMAXX integrates into X-Planes "Plausible" environment seamlessly but it also gives you the ability to dial down your rendering options for better performance. 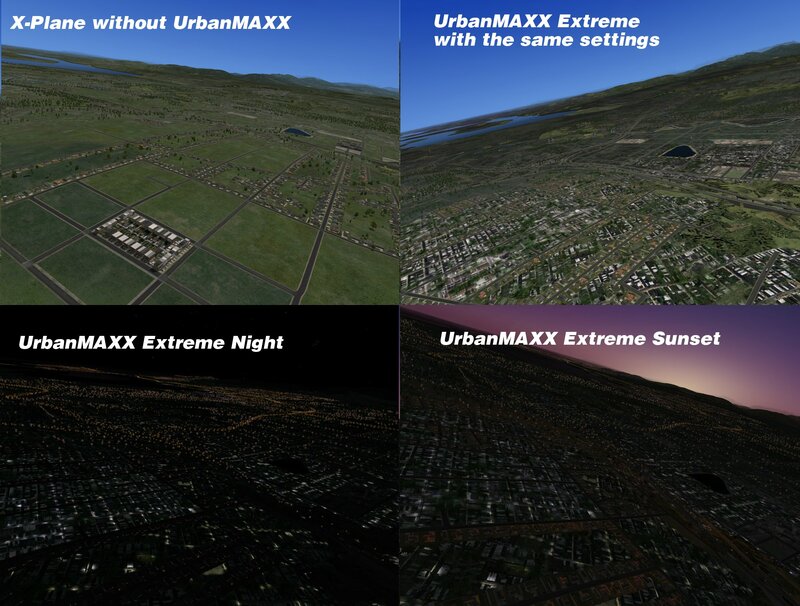 You may ask yourself what features UrbanMAXX Extreme has over the freeware version of UrbanMAXX. 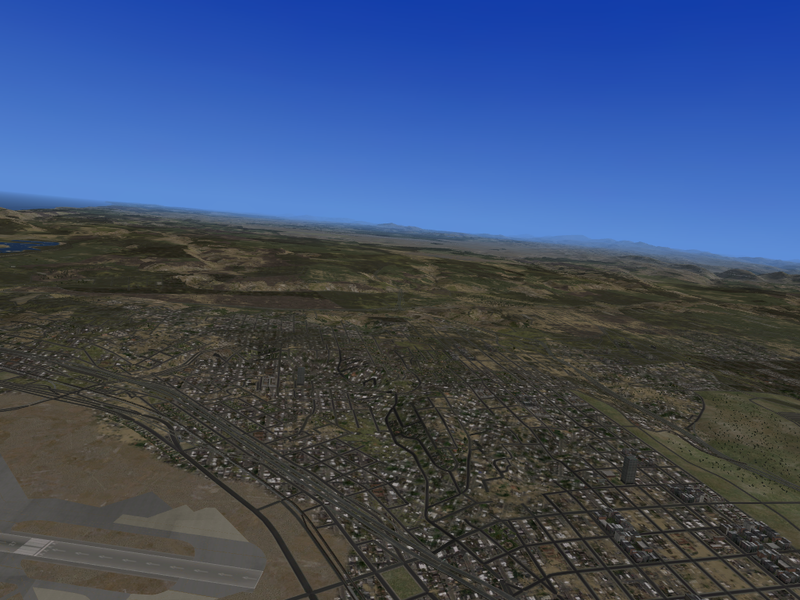 Let me start by saying UM started as an experiment to see if it were possible to use orthophotos to help augment the OSM data in the simulator. I was greeted by very early success and decided to develop this concept further. 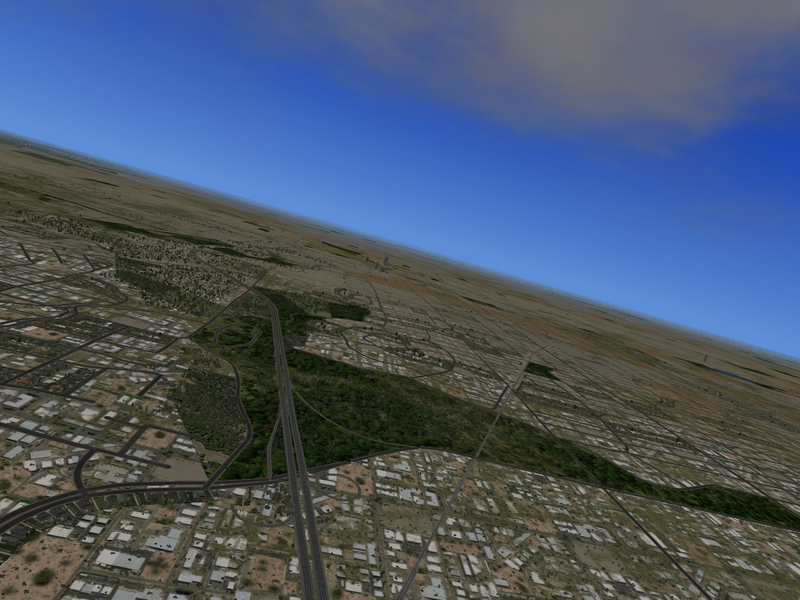 With this new project underway I knew I would be spending many hours perfecting UrbanMAXX. I decided to create a new product, introducing UrbanMAXX Extreme. Advanced texture techniques help the textures blend better. LIT textures which show urban lighting at night. Advanced texture compression for better framerates. Regional textures separated by temperate zones. 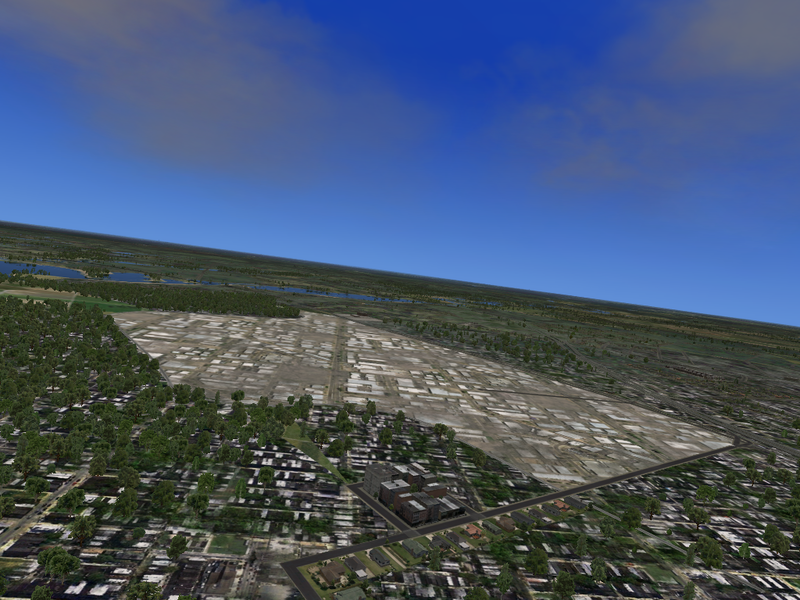 A complete overhaul of original UrbanMAXX textures for added realism. 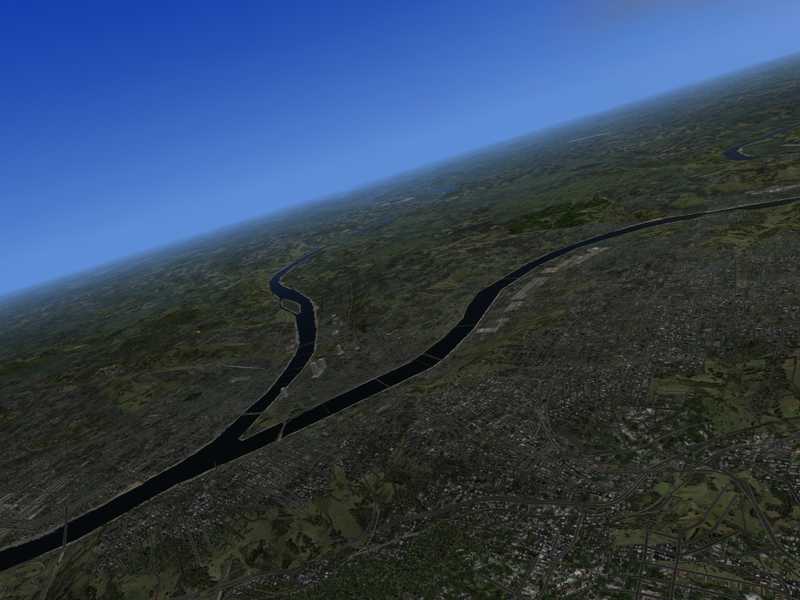 Fast and easy installation, just drop the "UrbanMAXX_Extreme" folder into your X-Plane "Custom Scenery" folder and you are ready to fly.